In his classic memoir, Fate is the Hunter, Ernest K. Gann opined that mysterious, unknown forces schemed to bring down good pilots. Thomas P. Turner begs to differ. There’s no need to resort to supernatural explanations, when complacency haunts even experienced pilots. I settled into a Beechcraft A36 Bonanza, preparing for a trip in two legs. The first would be very short: about 15 kilometres from my home base across the city to where I would pick up my business partner and some display items for an airshow, before the two of us departed for our destination. As is my custom on the first flight of the day, I briefly reviewed and practiced the pitch trim runaway procedure before beginning my before start checklist. The trim runaway procedure is an emergency checklist, the aim of which is to remove electrical power from the trim servos in the event of a trim system or autopilot malfunction that drives the elevator trim toward full-up or full-down. It calls for holding a trim interrupt switch on the pilot’s yoke, then pulling the trim power circuit breaker. Only then may you cautiously release the interrupt switch and hand-fly the aeroplane to a landing. Practising the pitch trim runaway procedure is important because it develops and renews ‘muscle memory’ needed to pull the circuit breaker without being able to look for it. This is probably the only circuit breaker a pilot needs to be able to locate by feel, because you have to pull a breaker very quickly to prevent disaster … and you need to keep your focus outside of the aircraft or on the flight instruments to retain control of a radically out-of-trim condition. Prompted by my fellow instructor pilots at an international flight safety organisation where I worked in the early 1990s, I perform the ritual of practising the pitch trim runaway procedure every day I fly. I’d done the check on the first flight of the day for 25 years. I recall that morning thinking ‘this is a waste of my time’ while I practised the trim runaway procedure. I’m proficient with it, and, after all, over 4500 hours of flight experience had told me that pitch trim runaways are extremely rare events: I’d never seen one myself. Nonetheless, I completed practice of the checklist steps, reset the trim for take-off, did all my other checks and took off across town. Almost immediately after lift-off on the second leg, I suddenly felt a radical, nose-down command on the controls. I instinctively pulled back on the yoke, mashing down the interrupt button while I trimmed the plane using the manual trim selector, then found and pulled the pitch trim circuit breaker. Cautiously releasing the interrupt button, I confirmed I had pulled the proper breaker. The emergency was past and I was able to complete the remainder of the visual-conditions flight using manual trim, albeit without the use of the autopilot. When the rapid nose-down trim input occurred very close to the ground, I was able to take the correct actions immediately and without thinking. Yet, it felt like a waste of time; it would have been very easy to tell myself I didn’t have to do it any more and quit checking myself before every flight. Not having to perform the procedure for thousands of hours of flying time makes it natural to become complacent and stop preparing for the procedure at all. 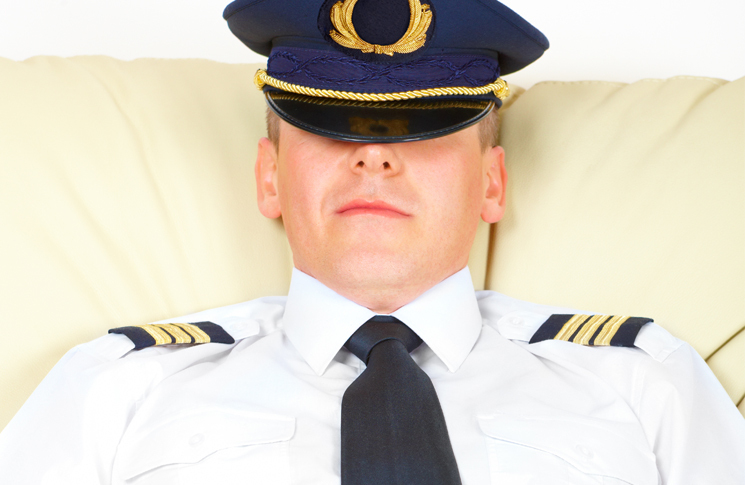 Pilots tend to be goal-oriented, ‘can do’ sorts of people. It takes a lot of self-motivation to become a pilot, and a lot of self-confidence to strap into an aeroplane and launch into the blue, facing weather and other challenges. Many of our friends, relatives and business associates think we are downright crazy for learning to fly, and we spend a lot of time and effort convincing them that ‘flying is perfectly safe’. All these things contribute to pilot complacency. We expect (simulated) emergencies and abnormal conditions in training. We watch instruments and indications very closely, because we know eventually our instructor is going to introduce a system failure or decision point. In a training environment pilots are pessimists, actively looking for things to go wrong. In our day-to-day flying, however, we expect to make a flight as planned. Consciously or otherwise, we may go to great lengths to convince ourselves that everything is normal, or that things will turn out okay because we have the extra-special skills necessary to overcome the challenges. In a worst-case scenario, we expect we can handle just about everything, maybe at times even wishing we had the opportunity to prove how good a pilot we are. Outside of training operations, pilots are optimists. At some point very soon after completing a recurrent training flight of flight review (often, immediately after completing training), a pilot’s pessimism turns to optimism. Every time things go as planned, we reinforce the feeling that they can’t go wrong. Aeroplanes with a lot of power or great performance make it possible for a pilot to be imprecise and still avoid a negative outcome. These factors make it very easy to become complacent, reverting to habits that can all but negate the benefits we received from that training. We need and have a right to be optimistic a flight will turn out as planned—if there is any significant doubt we should not fly at all. But to reinforce that optimism, we need to maintain the same level of scrutiny, skepticism and practise that we exhibit during our training flights. In 2013 at a dinner in Australia I met retired RAAF Wing Commander Matt Hall, now an internationally known air racing pilot. With great insight, Matt said most pilots follow a predictable, three-phase path of development, which I’ll related and expand upon here. First is the learning phase. Everything is new, and the pilot is eager and impressionable. Learning pilots listen to others in authority—but since they have no frame of reference to determine what is good behavior and what is bad, it is the more experienced pilots’ responsibility to model and mentor the ‘right’ attitudes and practices. Next comes the complacency phase. This is usually the longest phase of a pilot’s career … one in which the pilot feels he or she has learned virtually everything they need to know about flying, with the exception perhaps of learning about the newest avionics in the aeroplane. The complacent pilot believes they have achieved ‘safety’ (as if risk management is a state, and not a process), and that bad outcomes are something that can only happen to lesser pilots. Finally, the pilot moves to the professional phase. In this context ‘professional’ has nothing to do with being paid to fly. Professionalism is a mindset in which the pilot seeks out opportunities to learn and practise, and to actively look for gaps in their knowledge and proficiency. The professional pilot actively works to fill those gaps by taking classes, attending safety seminars, reading and doing self-paced learning, and engaging expert flight instructors to learn from their and others’ experiences. The trouble is, according to Hall (and echoed in the air crash record), most general aviation pilots never make it past the complacency phase. These are the seemingly ‘unreachable’ pilots lamented in the numerous instructor symposiums, US FAA meetings, US National Transportation Safety Board (NTSB) hearings, and ATSB discussions in which I’ve participated over the past few years. It takes some unique event or condition to cause a pilot to move to the professional level. It may be as subtle as exposure to a group of professional-thinking aviators or even one good instructor or mentor. It may be a realisation based on events in the pilot’s non-aviation career or family life. Unfortunately it is usually the result of a frightening aviation experience, personally encountered or (less frequently) when a close friend meets his or her end in an air crash. So what are some of the ways we can fight past complacency and model good behavior for ourselves and our flying peers? Use checklists. Checklists are designed specifically to help us recover from lapses due to distraction … or to complacency. Every time you transition to a new phase of flight, once you believe you’ve done everything to make that transition, pull out the checklist and ensure you’ve not missed anything. Remember that even high-time pilots have accidents. This is because they become too comfortable flying aeroplanes—so complacent they lose their edge and stop trying to catch small discrepancies before they become large ones. Perhaps the ultimate hero pilot, General Chuck Yeager wrote, ‘I was always afraid of dying. Always. 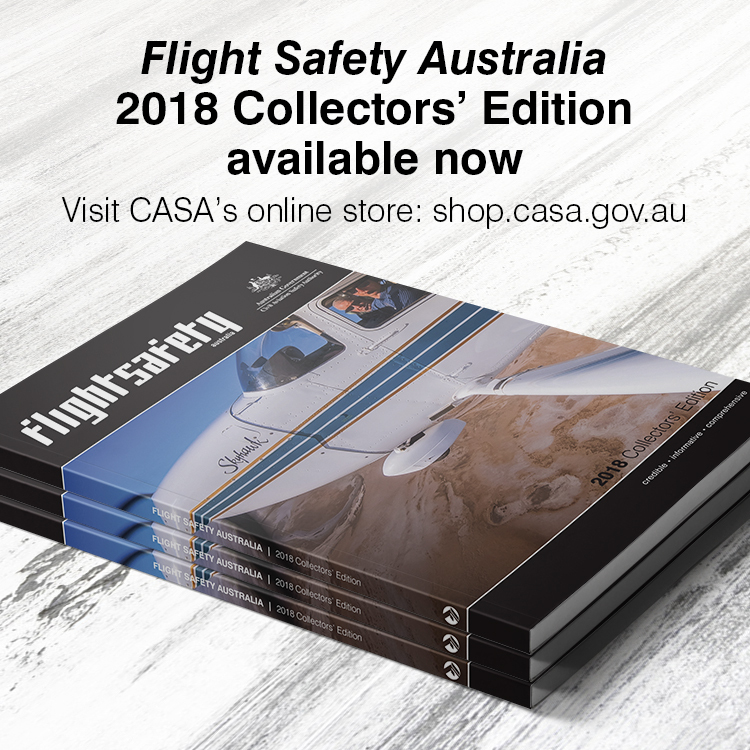 It was my fear that made me learn everything I could about my aeroplane and my emergency equipment, and kept me flying respectful of my machine and always alert in the cockpit.’ Yeager knew that the key to safety is to overcome the tendency to be complacent. Fly precisely. Your aircraft may have a big enough reserve of power or performance that you can get away with being a little sloppy in your flying. If you ever need to get maximum performance from your aeroplane, though, you’ll need to fly precise attitudes and airspeeds. Fly precisely all the time, so you don’t need to do anything different from ‘normal’ if you encounter high density altitude or experience an aircraft emergency. Practise emergency procedures. I practised the trim runaway procedure for 25 years before I needed it. It seemed like a waste of time every flight. But if I had hesitated when I did have a trim runway I probably would not have been able to recover in time. If you feel like an inspection or checklist step is a waste of time, that’s all the more reason to conduct it regularly and carefully. Treat every flight like a training flight. Operate as if you were under scrutiny and watch indications closely as if you expect something to go wrong. Interesting article. In all my yrs of driving planes near on 40 yrs and lots of types I’ve never done this nor seen anyone else. I always felt that if I had any electrical issue that was of such magnitude that required an immediate action I turned the master switch off first then did secondary stuff like trouble shoot CB’s etc, aviation navigate communicate, works well when you fly multiple types. Walter, that might work or depending on your instrument / night / low vis conditions, you might make it worse! Food for thought, very good article.